Derek and Sarina have the best kind of love. It’s loud, silly, filled with whiskey and cigarettes, friends, and country music. 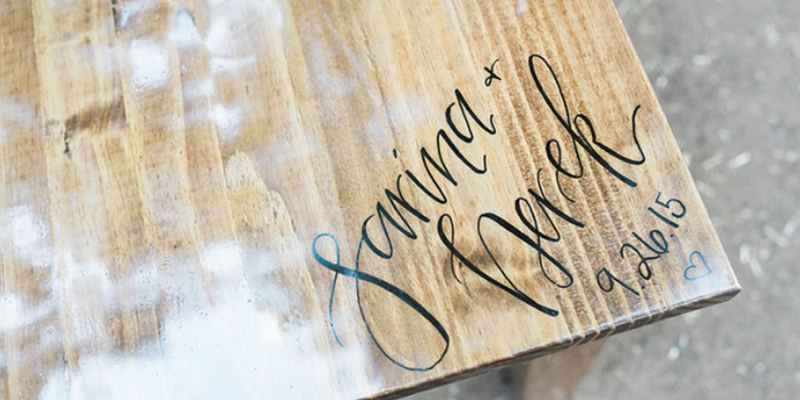 When they started planning their wedding, Sarina kept claiming how she wasn’t creative enough. Well, let me tell you, that girl lied. They had cut whiskey bottles as a part of their center pieces and other hand made details all over the place. 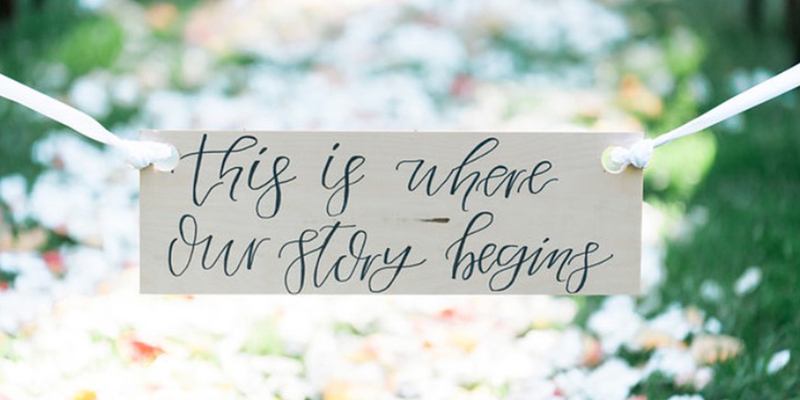 Plus, I was able to get my hands on some signs for the big day! This was the first wedding that I was attending in my adult life that I wasn’t in. I’ve been a bridesmaid 3 times in the last 2.5 years (I’m not totally counting 2016 yet – we’re only 16 days in people). It was so fun to be a guest, but to also know that I had a piece in creating something for their special day. Here are some shots of my favorite moments and signage that I was able to create! My favorite piece of the wedding. This was their sweetheart table that Sarina’s dad built for them. Her parents called me before he sealed it and asked if I could write their names and wedding date on the table so they could forever remember this day. Talk about some permanent work! Share the love! Their own custom photo booth was the hit of the night. Well, that and the dance floor. Ok and the bar. Nothing like ordering whiskey and wine. 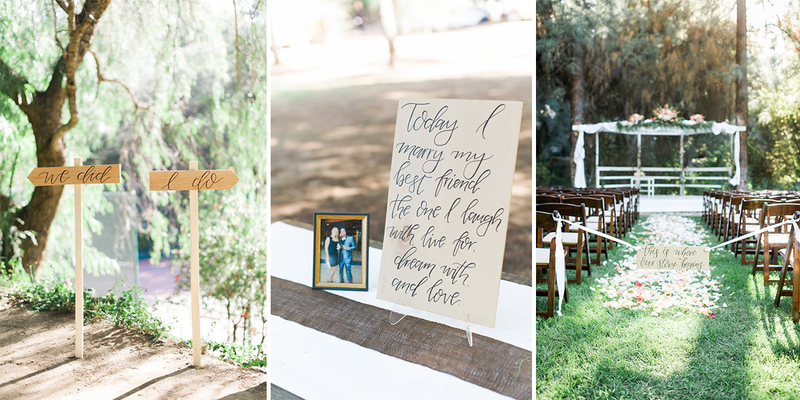 The directional signs, welcome / gift table and the aisle blocker. I loved the way these directional signs came out. Plus, how stunning is that aisle? It was such a great day filled with love and laughter. 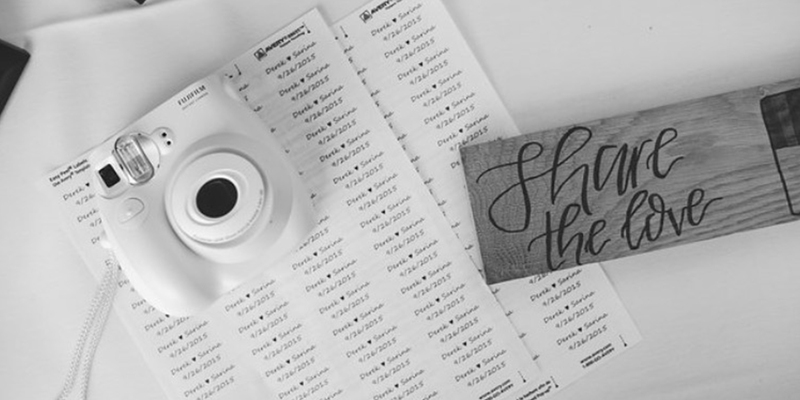 I’m so glad that not only was I able to be a part of it as a guest, but as their wedding calligrapher as well. Thank you Kristine Marie Photography for capturing such beautiful photos of my work on this day.